The ARM program has been operating strategically located in situ and remote sensing sites around the world for twenty years. The mission: improve the understanding and representation, in climate and earth system models, of clouds and aerosols as well as their interactions and coupling with the Earth’s surface. In a paper published in the Bulletin of the American Meteorological Society, ARM Technical Director, James Mather, and Chief Operations Officer, Jimmy Voyles, describe a series of significant changes within the program during the last eight years that further strengthen this mission. In their up-to-date description of ARM’s current state, they include a summary of scientific highlights accomplished with ARM data over this same period. These highlights demonstrate the impact that ARM has had on climate research, including the improvement of climate models. 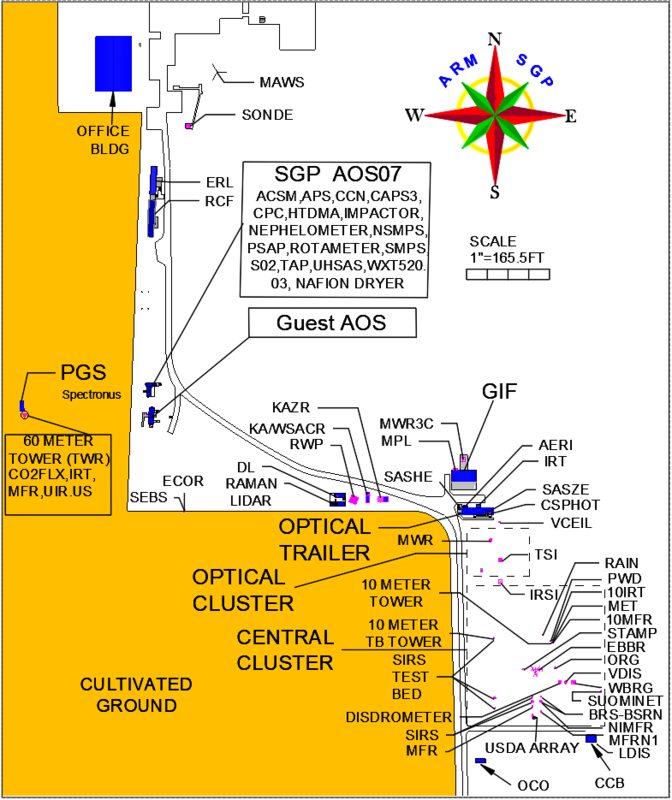 The authors begin with a review of the ARM infrastructure as it was circa 2008, shortly after ARM was designated a DOE science user facility. ARM had added a Mobile Facility to its network of fixed-location facilities, had formalized aircraft operations through an ARM Aerial Facility, and was in the process of adding a second Mobile Facility. These changes significantly broadened ARM’s reach by providing measurements in more diverse locations, appealing to scientists from a wide range of institutions. The article also recounts the significant expansion to ARM measurement capabilities from the 2009 Recovery Act. The Recovery Act was applied broadly across the federal government at that time to stimulate the economy. This made it possible for ARM to add numerous instruments that the science community had been requesting over several years through program science meetings and a series of workshops. These new instruments included a network of radars to provide 3-dimensional information about clouds and precipitation; lidars for providing profiles of water vapor, aerosols, clouds, and vertical air motion; and aerosol instruments to add information about aerosol composition to the existing measurements of optical properties. Finally, the paper previews challenges and opportunities presented by the new instruments, as well as two new sites coming on line in 2013: a third mobile facility and a new fixed-location site in the Eastern North Atlantic. With increasing demands for observational data from climatically sensitive locations around the world, ARM continues to evolve and stand ready to serve the global science community. A scanning ARM cloud radar installed at the ARM Climate Research Facility on Manus Island, Papua New Guinea. Two radars are mounted on a single scanning pedestal to provide data on the microphysical properties of clouds and precipitation. Locations of ARM fixed sites (ARM Site), mobile facility deployments (AMF) as well as aerial (AAF) and offsite campaigns (ARM OSC) as of the year 2010 are shown on this map.